I wanted to start writing about our family weekend getaway but I'm not in the mood. 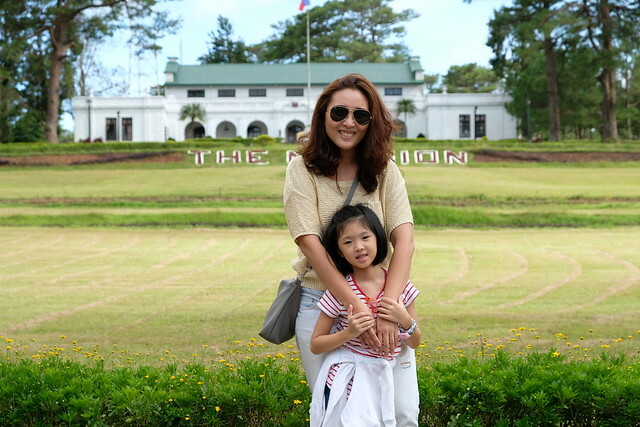 Y got sick last Sunday while we were in Tagaytay, she had fever so we had to cut our trip short and come home right away. She already had cough during the week and drinking meds but the cough progressed so I took Monday off to go to the doctor with Y. Turns out, Y developed a bad cough. I feel like such a bad mother for not taking her to the doctor last week when her cough was just starting. Now she has to take antibiotics and 3 other medicines plus a vitamins. Hay... It's so hard to give medicine to Y. She's okay and used to taking her vitamins but if it's another medicine.. hay war zone! I can't take forcing her to drink her medicines and seeing her cry and feel frustrated. Naaawa ako but I just think she needs it or else her cough may turn into something else. I have to think of tricks on how to make her drink her meds. Dami ko na na-try, even the syringe trick didn't work. :( Any ideas mommies? Why is it so hard to give medicine to kids? She still has on-off fever which also makes me so paranoid that it's dengue. I can't work, I can't take my mind off it, that I went to her pedia's clinic today just to ask about her fever. If her fever may progress into dengue. Hay... I just want her to get well so we can celebrate her birthday sick free! My youngest Amaya is asthmatic, as in kaunting change of weather eto na ang ubo. Eh pag inaatake siya ng asthma, a lot of meds are given, buti sana if masarap but most of antibiotics are not really delicious. I tried all the tricks that any mother could think of... and it is indeed so difficult, so what I really do is, I usually let her take her medicine, let's say earlier than the time said by the doctor, example 10 minutes, tapos paunti-unit ang bigay ko ng meds matapos lang... I guess the saying PATIENCE IS A VIRTUE is really true.... Patience mommy... or next time, pero sana wag ng maulit, ask your pedia if it is possible to give you meds that has flavors that your child will take it... para ndi masayang ang money mo.